I am currently employed by the NHS working as a Cancer Services Manager at Royal Devon and Exeter Foundation NHS Trust (RDEFT) in Exeter. I was seeking a leadership development opportunity and applied for a 1-year NHS Fellow post with BI through the NHS Leadership Academy. Following a successful interview I started working with BI two days per week from 1 July, starting a fantastic opportunity to work with pharma to benefit patients and develop my leadership skills. Over the past two months I have been warmly welcomed into BI by a variety of teams including the Brand Managers, Account Managers, training team, Public Affairs & Patient Advocacy and Market Access, Pricing and Outcomes Research. I have met a wide range of staff to discuss and understand the issues which BI faces, and offer advice or information aiming to help from an NHS viewpoint. I’ve been involved with a number of really interesting pieces of detailed work. This has included reviewing the commissioning process for one of BI’s medicines which is due to be launched soon. I have also being involved with service improvement days to review the business planning process. Taking the opportunity to review strategic documents and comment on them from an NHS perspective has been useful to try to help to align the language used by the NHS with BI. It has been a real eye opener to work within pharma to start to understand the industry, and realise that there are misconceptions from the NHS regarding how they work and their drivers! BI is very focused on improving patients’ lives through pharmaceuticals, and is keen to work closely with health professionals to help them to help their patients. For example a team at BI are experts at reviewing health populations and identifying possible improvements, which would be invaluable if they could work in partnership with the NHS to focus care to those who can benefit the most. Also the PRIMIS tools, developed in partnership between BI and Nottingham University will be invaluable to help primary care identify where they can target patients to maximise their care, and therefore improve their health. Similar to the NHS, BI is constantly reviewing its environment and developing its department and services to meet future demands and challenges, and I hope I can input positively into this process. I am in the process of exploring how RDEFT could work in partnership with BI on the health economics of the Exeter population to improve patient care by targeting care to groups most in need. This is even more important with the developing combined health and social care agenda. There may well be opportunities for BI to work closely in partnership with the NHS, whether with individual CCGs or Trusts or through AHSNs sharing their expertise. Although I have only been with BI for two months I have experienced some new and challenging leadership situations, pushing me outside my comfort zone and learning how to manage. I have even survived some curry nights with some BI curry experts!! I am incredibly glad that I was selected to be an NHS fellow with BI, and I am looking forward to the next 10 months to expand my experiences, knowledge and leadership skills, whilst providing input to help BI continue to develop and innovate for the future. 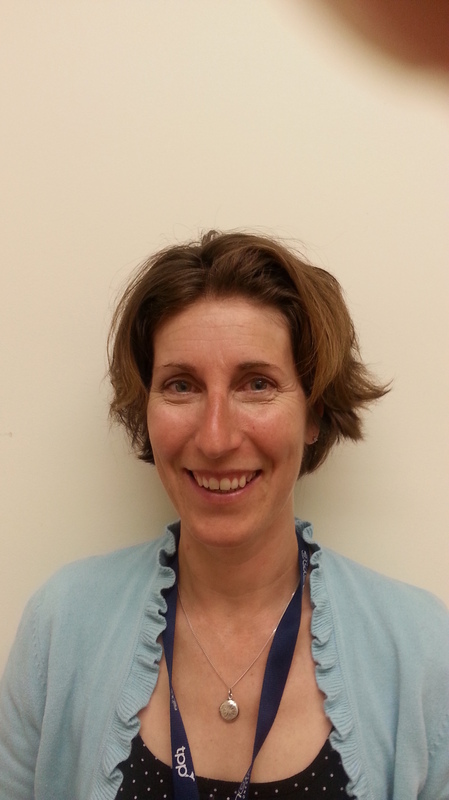 This is a guest post by Fran Lowery, Cancer Services Cluster Manager at the Royal Devon and Exeter Foundation NHS Trust based in Exeter, Devon and BI Fellow. I trained and worked as a Physiotherapist in the NHS for 10 years before completing the NHS Management Training Scheme in 2000-2002 in Bristol. I worked for a year in the USA, then moved to Exeter as a Project and Service Development Manager. Over the past seven years I have worked in operational management including Paediatrics, Obstetrics and Gynaecology and currently Cancer Services. I am essentially a business manager supporting the clinical teams including doctors, nurses, pharmacists, therapists, Research and Development so that they can provide high quality patient care. I manage the administration teams who provide secretarial and receptionist services for our patients, as well as the Multidisciplinary Coordinators and Audit team who help patients through their cancer pathways. I am work with finance, procurement, governance, workforce development as well as project managing service developments. We work closely with our charitable partners too to improve patient care.